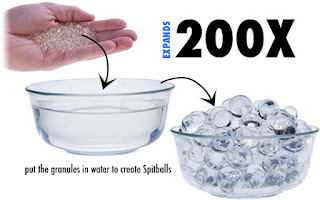 Spitballs are the amazing orbs that grow up to 200 times their original size when immersed in water. 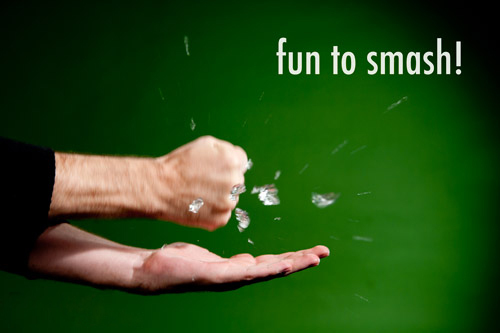 Designed for bouncing, throwing, and smashing, Spitballs resemble kernels of salt prior to activation. When dropped into a bowl of warm water, they'll begin their metamorphosis. The longer they soak, the bigger they get. Growing to the size of a pea within five minutes, most Spitballs will eclipse the size of an acorn within a few hours. If left out to dry, Spitballs will slowly return to their original size, so you can reuse them again and again.